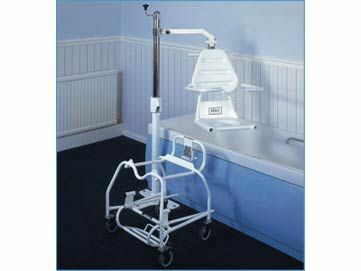 Oxford Mermaid Hydraulic Bathroom Hoist Safe Moving. 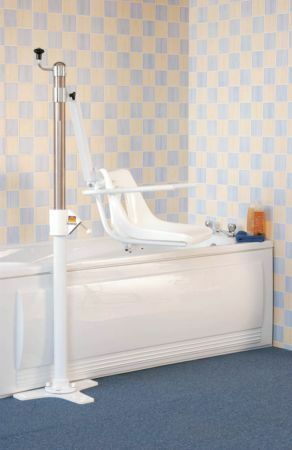 This hoist is also available with the Ranger Transport System which allows the user to be transported to the bath and then lifted into the bath from the transporter. 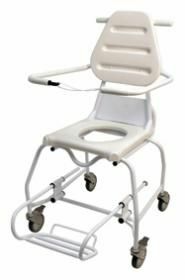 The Ranger can also be used as a shower chair or a commode chair. This hoist may be fitted to wood or concrete floors. 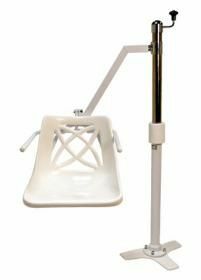 Excellent hoist which we purchased for my Mum as this can just be swung out of the way when someone who dosen\'t require a hoist needs to access the bath, or for cleaning the bath. A good manual alternative to a bathlift. Great product purchased for my mother who absolutely delighted to be able to bathe again and it is very easy for the career to operate.